After a short introduction from everyone Alsino presented what is Maptime all about: bringing people together, share the joy of creating and consuming maps distribute your knowledge about how to do stuff. So who was listening? There were people from the codeforberlin initiative, the HERE company, ESRI, opendata initiatives and the universities in and around Berlin. It was clear that Berlin is a hot spot for mapping, spatial coding and geosciences! As cartoDB also plans to build up an office in Berlin, we will hear and learn something about the usage of CartoDB for geospatial visualisations tomorrow the 14th of October. The event itself will be cosponsored by CartoDB. There are plans to publish MaptimeBER as recorded Hangout or to take part in it via Skype. But we will look in a bright future. 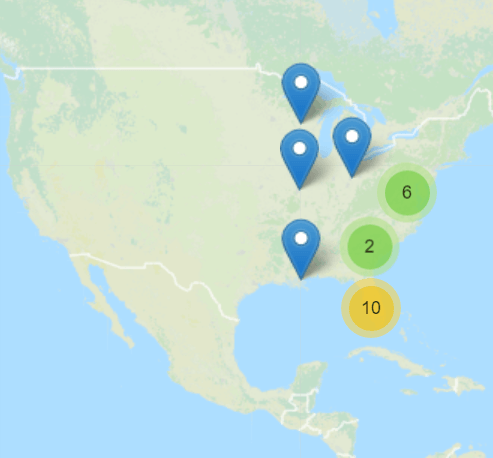 Everyone in the region: come to MaptimeBER! It’s fun, interesting and also great to get in contact with companies and people who migt help you in your next project.